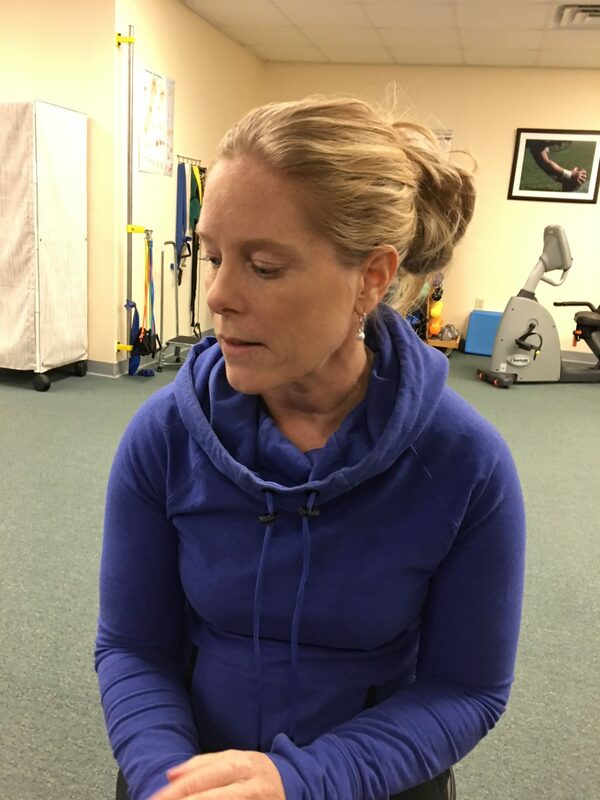 Eve Atwell, PT, treats many conditions of the foot and ankle with physical therapy techniques. Plantar fasciitis is the bane of a serious runner, or even someone trying to transition from sedentary to an active lifestyle. Tight calf muscles, a very high arch, obesity, running and other sports may all cause plantar fasciitis. The bands of fascia in the foot can become irritated and inflamed when a person increases the intensity of their workouts, causing pain and discomfort. The pain is felt on the bottom of the foot just in front of the heel. Often it is worst in the morning, subsides with moderate activity, and returns as greater pain after exercise. While there are a number of approaches to treating plantar fasciitis, physical therapy can be very effective in reducing pain and restoring function. The therapist may start with a manual approach, gently mobilizing the foot and ankle and stretching the fascia. A physical therapist can show you how to stretch the plantar fascia and Achilles tendon with exercises that stretch and strengthen the lower leg muscles. 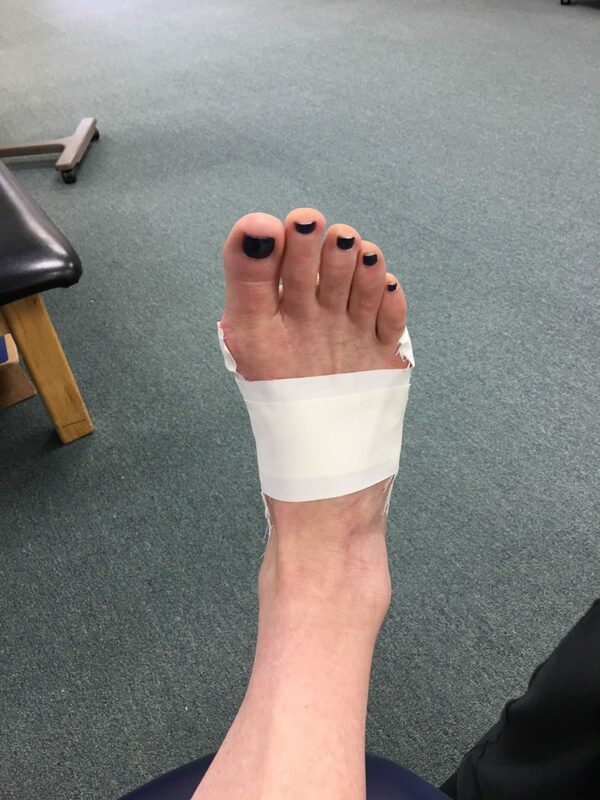 Another approach is to use kinesiotaping as a means of support to the bottom of the foot. Sometimes physical therapists might suggest a night splint, which is a splint to stretch the arch of the foot and the calf worn overnight. With the addition of ice, massage and rest, most plantar fasciitis cases should resolve within 10 months.